FRAMED PRINT. 22x18 inch (56x46cm) Framed Print with Black Satin with Off-White Digital Mat. 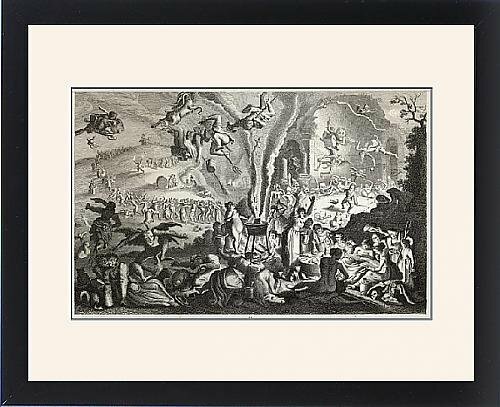 Artwork depicting WITCHES SABBAT (HERR). Diabolical goings-on at the sabbat - ladies yield to demonic temptations while the more intellectual read forbidden books. Shipping from USA. Artwork Description... Diabolical goings-on at the sabbat - ladies yield to demonic temptations while the more intellectual read forbidden books.